Multinational corporate managers, financial analysts, and accountants disagree on what constitutes the appropriate process of translating and consolidating foreign financial statements into US financial statements. 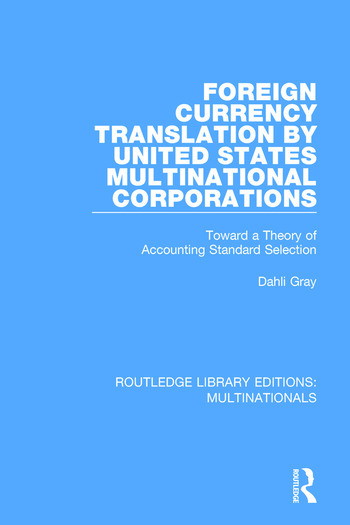 In this book, first published in 1993, the author examines financial accounting regarding foreign currency translation for and by multinational corporations by developing: (a) an historical background for the topic, (b) a comparative analysis of two foreign currency translation accounting standards, (c) a topical review of relevant prior research, and (d) a study of multinational corporate managers’ actions when they face a choice between two accounting standards. This title will be of interest to students of business studies.